#10YearChallenge – for the legal profession. Unless you have been hiding under a rock or gone off the grid, you’ll have seen the 10-year challenge online. Everywhere. It’s the first social media challenge for 2019, across Facebook, Instagram and Twitter. 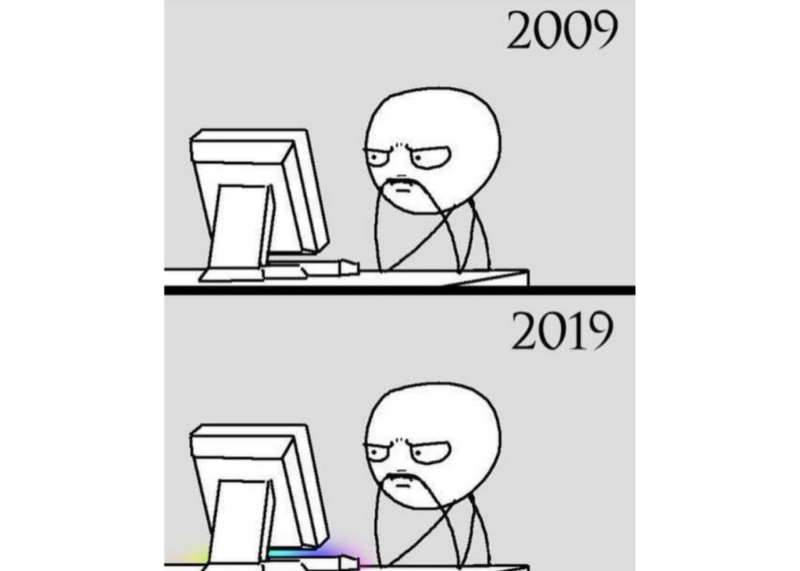 The premise of it is to post a photo of yourself from 2009 vs 2019, and caption it however you want. A decade. The word emanates from the 17th century Greek deka ‘ten’. The point is that it is long enough to see some significant change (unless you're Mariah Carey who has tweeted she doesn't acknowledge time). In yourself. In the environment. In politics. In technology. This internet fad (less challenge) got me thinking about what the meme for the legal profession might look like, and in different parts of the world. The impact of the global financial crisis on the legal business model. The number of females in the law, and in senior positions. The way we recruit legal talent. The role of secondments and legal contractors. The way we promote and celebrate the achievements of lawyers. The way we manage our legal workload. The way we manage our clients and client relationships. The pace in which we adopt legal tech. The use of data in our day to day. The role of lawyers in innovation. The rise of law firm mergers. The number of generations in our workforce. The way we make referrals. The way we rate legal service providers. The billable hour and fee arrangements. The workplace culture, wellbeing and flexible working. The number of law schools, and law school graduates. The career paths for law students and lawyers. The curriculum of law schools. The admission to law requirements. The number of NewLaw firms. The change in the role of lawyers in business. The content of legal conferences. The role of our legal associations and law societies. The way we maintain our continuing legal education points. The way we communicate and market legal services across the profession. It’s also got me thinking about how we may each contribute to the evolution of the legal profession by 2029? What would the caption on the 2019 vs 2029 meme be? Let’s set ourselves a real challenge. Let’s make the next 10 years for our profession our best yet. We each have a role to play. What are you going to do differently? If you want to learn more about legal innovation, you can access my ebook Legally Innovative here. With a foreword by Professor Scott Westfahl of Harvard Law School, it's been described as a sharp, practical and refreshingly different take on new age lawyering. For visual innovation inspiration, see @legallyinnovative on Instagram. Blog post Image from Twitter. So full credit to its creator!